At LIFESTYLE Villas, a division of LIFESTYLE Los Cabos, we are all about giving you a superior service, unbeatable value and an experience that you and your loved ones will never forget. We specialize in true turnkey Los Cabos vacation rentals. Our concierge villa rental program consists of a carefully handpicked selection of stunning beachfront, ocean & golf view villas and condominiums in Los Cabos’ most prestigious developments. On the contrary to most villa rental companies, we manage the homes we rent, and therefore we are able to maintain superb quality standards among our Los Cabos vacation rental portfolio. On top of the high standards in place for all of our assets, we have also established a set of operating procedures that allow us to provide our guests with a seamless vacation or ownership experience. Our villa rental program transforms the ordinary into extraordinary through the many added value services that our guests enjoy at no additional cost. With LIFESTYLE Villas you’ll have an experience of a lifetime, each and every time. The trust we’ve been offered by our repeat guests and homeowners is the motivating force that propels us every day to continue providing superb service and look after the needs of those who choose LIFESTYLE Villas for their Cabo vacation or place the care of their property in our hands. 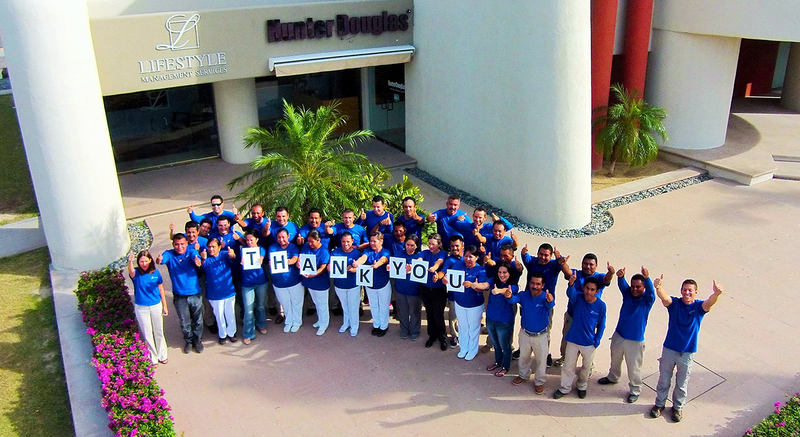 OUR STAFF MAKES YOUR LOS CABOS VACATION RENTAL EXPERIENCE IMPECCABLE! In addition to luxury, high-end properties, a LIFESTYLE experience comes with an array of specialized services provided by our team of over 50 full-time employees. Our professional concierges, butlers, destination specialists, housekeepers and private drivers are all trained to make your experience impeccable. At LIFESTYLE Villas we take great pride in our high customer satisfaction rates and we’re confident in exceeding your expectations as well. One of the pillars of our company, one that sets us apart, is a roster of quality standards. We apply them consistently throughout all our properties and our services. Thanks to our standards, when you deal with LIFESTYLE, you always know what to expect. Gourmet kitchen equipped with high-end appliances (oven, dish washer, microwave oven, toaster oven, refrigerator, freezer, etc.) as well as a broad range of cooking equipment such as blender, coffeemaker, etc. Stocked with condiments, olive oil, balsamic vinegar, plastic wrap, aluminum foil and Ziploc bags, paper towels, cleaning supplies, disposable plates, cups and silverware, napkins, etc. Laundry detergent, fabric softener, stain remover, etc. Daily Housekeeping (Mon-Sat). Sundays & Mexican Holidays available at extra cost. LIFESTYLE Villas LLC & LV Cabo S.A. de C.V.